I was at the #TE2016 (THE EXPERIENCE) and I along with other attendees or those who watched it live witnessed comedians display their art. I have never liked the fact that comedians use the things of God to joke or to make fun; I always found it distasteful. But I felt I was too conservative or strict “as times have changed”. So when at the experience comedian’s came to do their thing, I felt it wasn’t too out of place. In as much as I didn’t find comedy “too” out of place, I didn’t find their jokes funny. I kept asking myself and these guys call themselves comedians, what is funny in what they’re saying. All the comedians that performed that night except Akpororo came to do and say rubbish; especially MC ABBEY. His joke was so annoying and irritating, and the worst part was; he found it funny. Akpororo came at a time when I was really sleepy and a whole lot of others around me, so I just felt he came to wake us up. He was funny and I laughed at his jokes but thinking back about it, I think he was wrong in using speaking in tongues to joke. 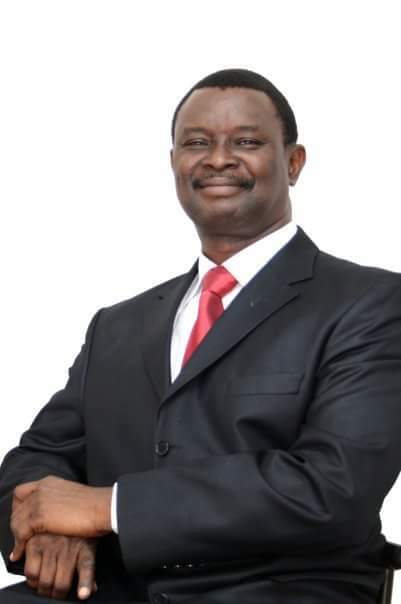 When on Monday Pastor Mike Bamiloye wrote on his facebook page condemning comedy in the church, I was like thank you, Jesus, someone is speaking out about this. I said to myself so all this while I hated comedy in church, I wasn’t wrong after all or old school. I believe comedy in the house of God is wrong especially with the fact that, these comedians do not know their limits; using the Word of God, the Holy Spirit, Speaking in tongues, and even insulting men of God to make fun. It doesn’t speak well of the church like we are playing with God. I believe this whole disrespect started when the Church did not stop/condemn comedians who use the things of God to make fun. If we had spoken against that, they won’t have the effrontery to mount a pulpit and use speaking in tongues to laugh. As someone rightly pointed out, the problem is based on the fact that churches feel the need to entertain their members, maybe to make them stay or appeal to the younger generation, no one knows. The question lingers as to what is the motive for such entertainment? As 2 Timothy 4:3-4 rightly points out, “You’re going to find that there will be times when people will have no stomach for solid teaching but will fill up on spiritual junk food—catchy opinions that tickle their fancy. They’ll turn their backs on truth and chase mirages”. Maybe the church is gradually leaning to this. I believe if we Christians respect our practice as much as we should, we would be more effective in reaching the world for Christ. After the write-up of Mike Bamiloye became viral, MC ABBEY felt the world needed his robust response, and unfortunately he was downright rude. In his reply, he found the need to insult Mike Bamiloye and it’s just so unfortunate. Even saying the Holy Spirit gave him inspiration for the comedy. I was so pissed off after reading his reply, how can you tell Mike Bamiloye to just shut up. Even if you have no regard for what he said, you have no right under God to insult him. It’s funny how social media has turned a lot of us to vultures; we sit behind our systems and phones and insult people that ordinarily you won’t have the liver to insult face to face. I was like even if I had it in mind to call MC ABBEY for a show, his rudeness has already disqualified him. You can pass across a message, without being insulting. I wrote something about this HERE. Anyway, Pastor Mike Bamiloye talking about this has brought this issue to the limelight/ to the open, and it needs to be urgently addressed. You won’t find a Muslim using the name of Allah to joke or to make fun, but we are very guilty about this. I heard this issue was discussed on a radio show recently and a lot of callers condemned comedy in church, even mainstream comment section are all against comedy in the house of God. Attached to that is, comedians should stop insulting men of God through comedy, or using the Holy Ghost to play, if you’re lacking creativity, pray to God to help give you material for comedy. I know comedy is a talent that God gives, but you can use in a way that would not be displeasing. Are you for or against comedy in the house of God? I would love to read your opinions.